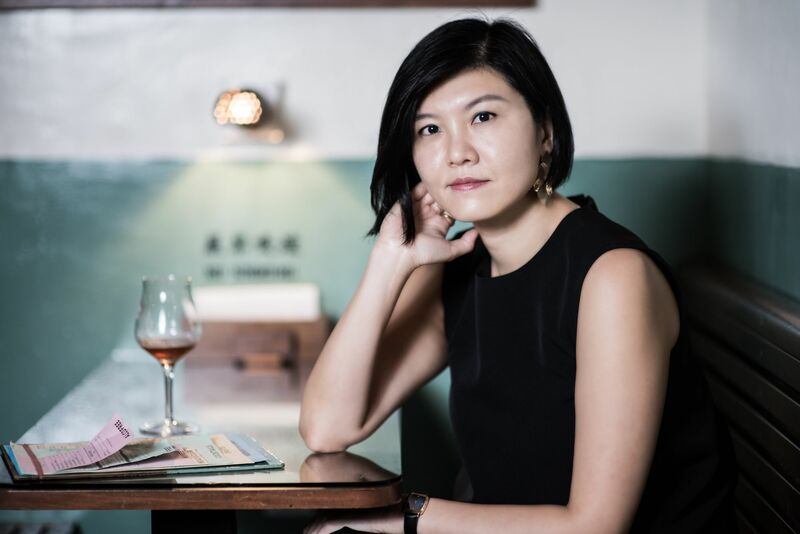 She may only be in her mid-30s, but Generation T lister Betty Ng has already had a career the envy of most architects twice her age. With degrees from Cornell and Harvard, the Hong Konger has worked for two of the world’s most respected architecture firms in Herzog & de Meuron and OMA respectively. At OMA, Ng first worked under then partner Joshua Prince-Ramus before spending the majority of her seven years at the Netherlands-based firm under controversial figure and reluctant ‘starchitect’ Rem Koolhaas, who became her mentor. Ng followed septuagenarian Koolhaas around the world, from Beijing (and the CCTV Tower project) to Rotterdam, evidently learning from his provocative design methodology as much as his ground-breaking designs. When Ng eventually decided to go her own way and launch design firm Collective Studio in 2015, inviting former OMA colleagues Juan Minguez and Katja Lam in 2016, it seems natural she’d take this defining, but potentially divisive, methodology with her—adapted with a few Asian characteristics, of course. Given the success of the Hong Kong-based studio over the last two years, it’s a tactic that’s clearly working. Collective recently picked up a Silver at the DFA Design for Asia Awards 2017 for its first-ever project, and continues to take on ever more ambitious commissions. Ng talks to Generation T about how critique and tension breed creativity, and how she made the move from architect to entrepreneur. You worked on some incredible projects at OMA. What were some of your proudest achievements? To be honest, there were really no moments of pride during my time at OMA [laughs]. It’s such a fast-paced place to work that there is almost no moment to enjoy the success or what you have accomplished because you have to already move on to another project and create something even better. One of the most amazing things that I acquired through working at such a wonderful company are the people I’ve met—the teams are amazing. The passion, the energy, everything. The other thing is being able to learn directly from my mentor, Rem [Koolhaas]. I’m not going to lie, it’s harsh. It’s like that cliché saying: If something doesn’t kill you, it makes you stronger. Does that kind of intense working environment bring out the best in you? I think it does. It’s almost like an oxymoron, and it throws people off balance when I say it, but everything just comes together in this tension. In a way it killed me but it also made me feel alive. It made me always push myself: “No, this is too obvious—there must be other ways!” If you don’t critique and investigate more you’re going to lose the best option. That design methodology really influenced what we now have at Collective. This is going to sound a little cruel, but I really believe in a bit of tension and debate. Some of the newly recruited colleagues in our office suffer a bit at first. They present ideas in the office and we keep asking questions. “This isn't there yet, we should try more options like this, this and this”­—most options for me are always too obvious. After the meeting, everyone is really [imitates upset face] and I’m like “Let's go for a drink!” For me, it’s daily life. You need to question, to debate, to try things over and over again. I don’t think I’m a mean person, but working in the creative industry, tension is very much needed to create great work within a team. That’s one of the reasons we’re called Collective. So this spurred you to take what you liked about the OMA process and make it Asia-focused? Yes and no. It’s hard to deny the fact that the way I work is how I was nurtured at OMA, but I think I have also assimilated this design methodology into my own. The Dutch are really straightforward and blunt, which is the way I like it, but working in Asia doesn’t necessarily work that way. So that really straightforward, ferociously direct way of working is slightly softened when I apply it. And I think that works really well. But you’re not a touchy-feely collective? It’s a place for debate. Yes. OMA is a tough place, but it’s also a really amazing place to practice architecture. I like the contradiction and tension, but I also understand that we’re in Asia and it’s a very different culture compared to Holland. Also, I wanted to inject a little bit of positivity and intimacy in the team. I think the idea of a collective is two-fold. It’s almost like a brotherhood. We’re in this together, but at the same time if I give you direct critique you don’t hold a grudge. I think that’s important. In the beginniing, I feared that I wasn't tough enough, or my standards weren't high enough, but after two-and-a-half years I'm starting to understand that we're running our own business. I’m not Rem Koolhaas; I’m Betty. We're not OMA; we're Collective. We run it differently. What are some of the challenges you face heading up a small design studio compared to working for a larger organisation? The client base is very different. At OMA, we were all working on big, high-profile projects; as a small studio we don’t even get the chance to tender. I need to be creative about finding ways to navigate that. That’s the biggest challenge. The other thing is the mentality towards design is very different here compared to the West. I have been approached many times asking for free design. I was completely baffled trying to navigate these requests, but then I realised it’s a very different environment in Asia. Running your own business requires a whole new skill set. How have you found this transition from design director to entrepreneur? I’ve definitely seen more of my weaknesses, but I really enjoy running a business. I thought I wouldn’t like it, but at Collective I have two partners, Juan and Katja, also from OMA. The three of us are so different but we know each other really well so we really cover for each other. Juan and Katja are comparitively quiet, so they usually organise work within the team. I’m the person that has an overview of the design direction, but I’m mostly doing all the contracts, the administration and finding new clients. I like that we can decide on the direction of the company, and that I’m the person to help pilot it. Without them I think it would be really difficult. What motivates you, and has it changed now you’re an entrepreneur as well as an architect? I think deep inside me, it hasn’t changed. My motivation is still pure curiosity. That feeling of wanting to know more­—I still haven’t gotten enough yet. Collective has done quite a few exhibitions, so the next thing is we want to build a museum. But it’s also interesting to do any project, no matter a conceptual restaurant, or even a funeral home. It’s still curiosity that really drives me forward. Now I run an office, that curiosity needs to be controlled a bit because if a project is extremely interesting but doesn’t bring us enough revenue, it’s difficult for us to take on. But I’m very bad in that way­—I will usually take it on anyway! Finally, what does the future hold for Collective? I am completely optimistic. Of course, I have my worries—having no prior experience of running a business and now learning through doing. But in terms of us being a great creative team, I have no doubts. I have complete trust in my team, myself and my partners. But I need to equip myself better with the know-how of running a business! I think that will make Collective even stronger.